Global Recordings Network missionaries depend on the ongoing financial support and prayers of generous believers like you. Thank you for helping us tell the story of Jesus in every language. John takes care of the audio equipment at Global Recordings Network. Since recorders, players, servers, and computers are the workhorses of Global Recordings, when they break down the work is hindered. John can be called on to fix anything that breaks, including items like eye glasses, jammed staplers, and vacuum cleaners. He also helps to maintain and repair the plumbing and electrical when necessary. John put his faith in Christ for his salvation at the age of ten through the ministry of a church club for boys. John had heard about Global Recordings when Joy Ritterhoff made a visit to his church in Los Angeles. He remembers his Sunday school teacher telling him about Joy’s visit when he was about 7 years old. After military service in the US Air Force, John attended Colver City Bible College and while on a field trip to then Gospel Recordings in Los Angeles, the Lord impressed upon him to work here. 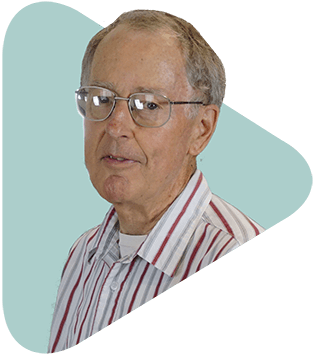 John has used his technical skills to serve Jesus at Global Recordings since 1975. If you ever visit the Temecula office, ask John to show you his pencil sharpener.